Mythbusters has only been off of the air for a few short weeks now, but in this day and age, well-liked properties are rarely really over. In fact, the long-running Discovery series is already set to come back on a new network, through an ingenious little scheme. Science Channel, which has been airing reruns of Mythbusters over the past few months, has just greenlighted Search For The Next Mythbusters. The new show is exactly what it sounds like it would be. Original Mythbusters hosts Adam Savage and Jamie Hyneman were totally fine to move on to new projects when Discovery announced that it would be giving up its famous series after 14 seasons. However, Science explained at the channel’s upfront presentation that the show offers a great concept and the name recognition that the cabler would like to tap into. Thus, Search For The Next Mythbusters will be a show that scours the country for new candidates. Those interested in the upcoming Science series can send in video footage that highlights skills in building, etc. One of the reasons that Mythbusters ended was because the budget was high-ish and the show was bringing in fewer and fewer viewers each year. 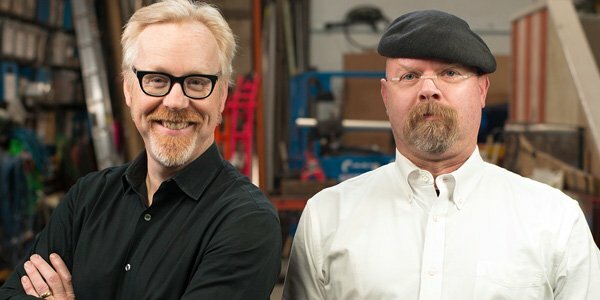 By rebooting with a new cast—and likely maintaining a lower budget— Science feels the Mythbusters property could still be valuable. It’s unclear when a version of Mythbusters that is closer to the original will hit the air. It’s not the only show the channel is rebooting. Punkin Chunkin will also be back. The last time fans got a look at the competition, which literally features devices that chuck pumpkins into the air, happened back in 2013 on Science Channel. Clip-based specials have aired in the years subsequent. While we wait for Search For The Next Mythbusters to appear on Science, the channel is still currently airing plenty of episodes of the original Mythbusters. So, if you’d like to tune in for some of your favorites, be sure to catch old episodes on Sundays at 9 p.m. ET. In addition, here’s what else the TV networks have coming up this summer.